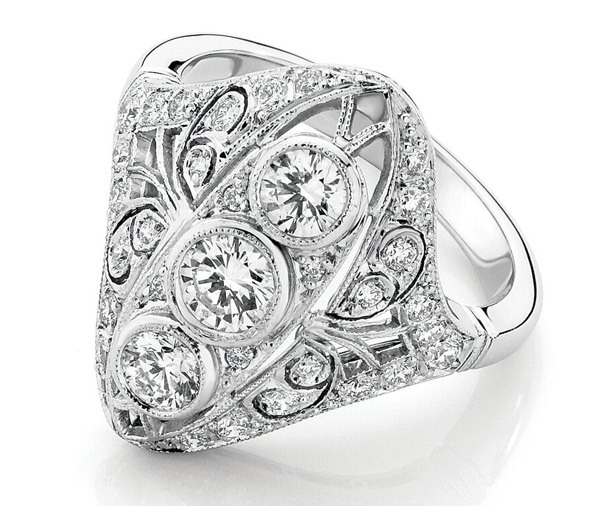 Three bezel set and millegrained diamonds are set the length of the finger within a hand pierced vintage setting and scrollwork detail with small diamonds in a style reminiscent of the vintage era. 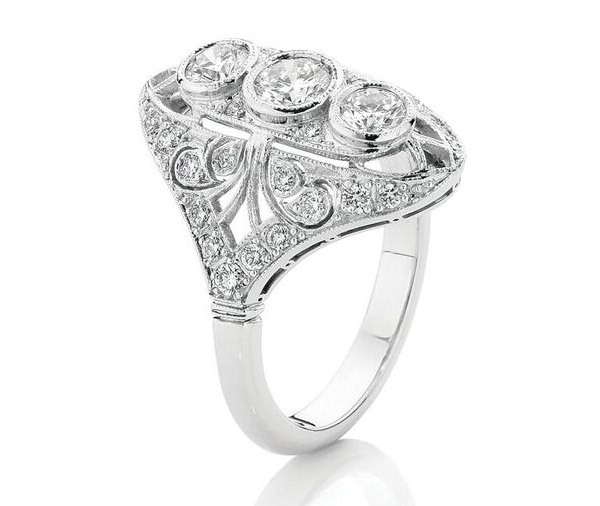 Model image features 3 round brilliant cut diamonds equalling 0.65ct. Available in platinum, 18ct white, yellow or rose gold or any other precious metal combination.